Before we dive in on this topic, I just wanted to share a quick update with you guys. I’ve recently made the decision to expand the focus of my blog. It will now not only focus on travel guides and travel tips, but on languages as well. Like travel, linguistics and language study is another of my passions, and I’m excited to share that with you! Language and travel, especially international travel, go hand-in-hand in my opinion. I never quite realized it until I studied aboard as a college student. But as my Spanish improved, so did my understanding of the culture in Spain. Whenever I travel now, I make it a point to learn at least some basic phrases of the languages of the countries I visit, instead of relying solely on English. I’ve found that it is always a bit easier to connect with people when you at least start the conversation in their own language. 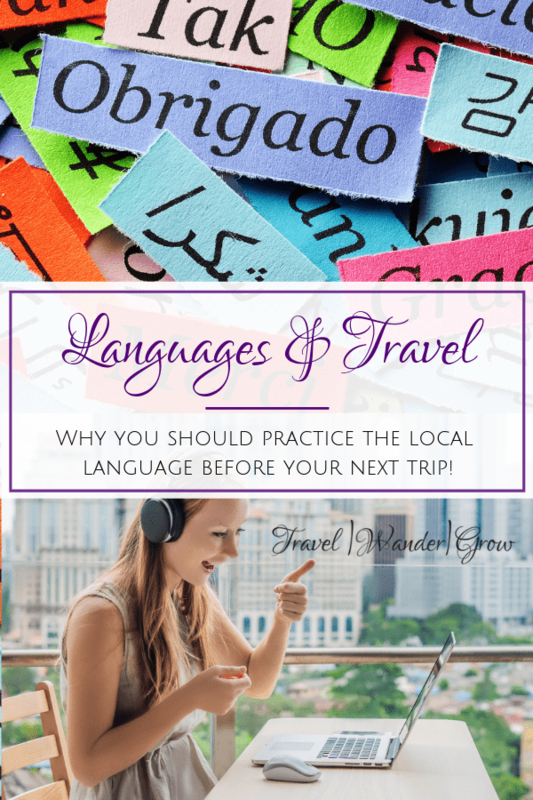 I will cover the reasons why I think language and travel are strongly tied together, and the benefits of learning a bit of a new language when traveling to a new country. As I mentioned above, you can often get much better interactions with locals when you can start a conversation in the local language. I’ve found this to be more important in some countries (e.g., France), than others (e.g., Iceland), but it’s a really great practice to take up regardless of where you go. I admit, learning languages is difficult, but you can simply start with greetings as they can be relatively easy to learn with little practice. At the very least, you should practice your “Bonjours”, “Holas”, and “Guten Tags” before heading on your trip. Using local greetings, you are more likely to get a smile from the person you are addressing, and you demonstrate your interest in the local culture. So if you are reading this post, I am assuming that you can speak (or at least read) fluently in English. On one hand this is great as English is the current lingua franca in our world. 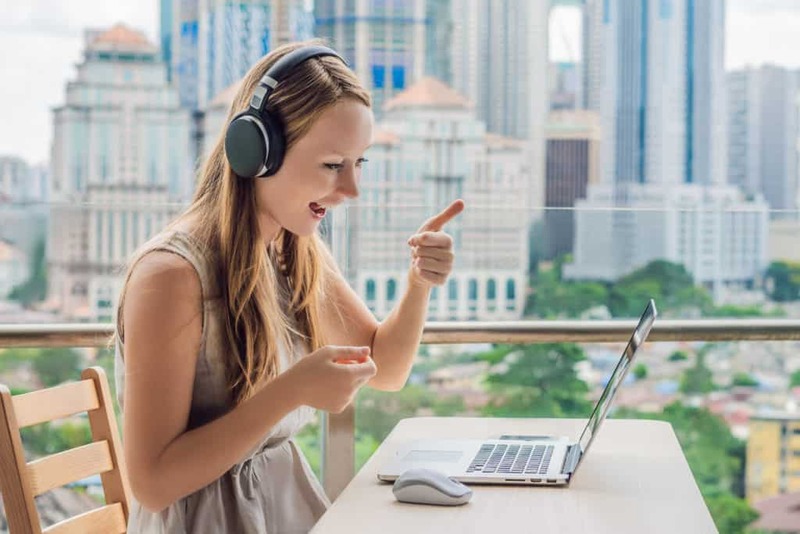 You will likely find someone who speaks English in most places that you go, although it may be harder to find English speakers based on your travel destination. In cities / countries where English is not as common, you will have difficulty navigating daily situations without some knowledge of the local language. For example, in countries such as Cuba or Colombia, I’ve spent the better part of most days not speaking any English in conversations with locals. Another personal example is that I experienced several instances where words / signage in Greece were not written in the Latin Alphabet. My brief study of the Greek alphabet helped greatly in these occasions! I will say, don’t let a limited working knowledge of the local language hinder you from travel. You may just have to get used to being more expressive with your hands or using tools on your phone to help you out when needed. If you don’t have time to memorize new phrases, I recommend writing them down in a small booklet or on your cell to carry around for reference. 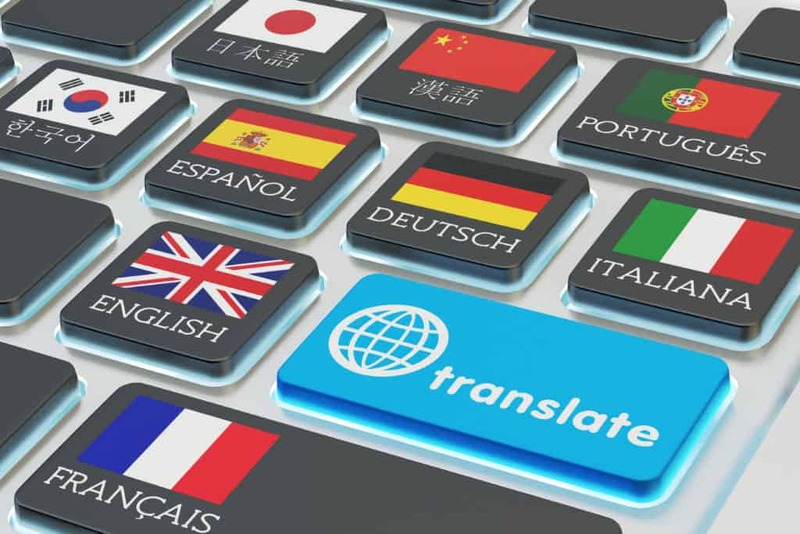 As you improve your foreign language skills, you won’t need to use that “translate” button as often! If you spend time really diving into foreign language study, it can greatly improve your understanding of the local culture. As I mentioned in the intro, I came to this realization during my time as an exchange student in Spain. I noticed how expressive my teachers and classmates were when speaking, and started to do my on research on this. I found that Spanish sentences are typically longer than English when describing the same things. This example shows that native Spanish speakers experience things differently, and that is expressed through the language. I’ve also found the Spanish to be more affectionate to strangers in both language as well as physically. There is no fear of personal space, so people tend to stand closer to each other than here in America. In fact, it is very common to greet others with kisses. These are just a few examples, but you can see how language and cultural norms are tied together! **Note, the descriptions above are not meant to stereotype anyone in any way, just some things I observed in my time living there. The last benefit I’ll speak to in this post is the benefit that language learning has on your mind. 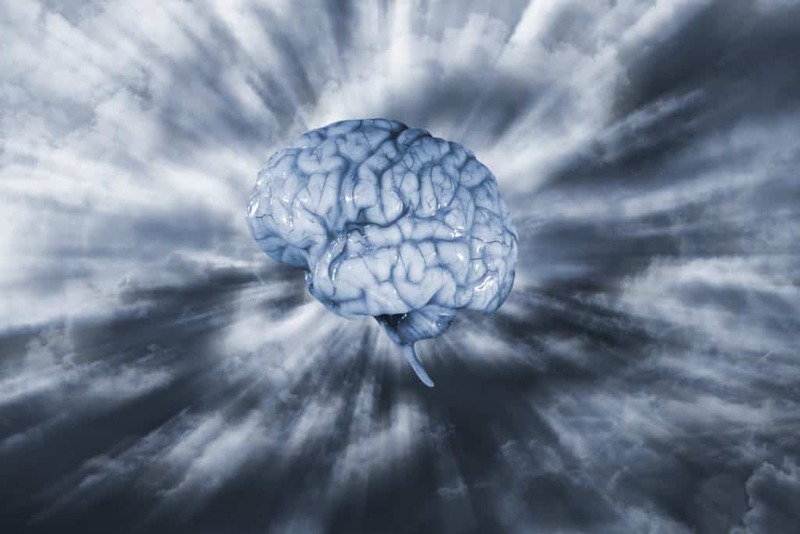 Language learning can lead to growth of the hippocampus and areas of the cerebral cortex. These areas are associated with memory, thought, and action. This can lead to improved memory and sharp thinking as you age. They WAY that you think and experience your surroundings may also change – a theory known as Linguistic Relativity. For example, in Japanese there are more terms for the different shades of blue than there are in English. If you decided to learn Japanese, you’d start to distinguish colors in this way too. The link between languages and travel is often overlooked, but I believe that it really is an important one. I hope that I’ve convinced you to at least start researching languages before you venture out of the country! I really can’t get enough of learning about other languages, and hope you got a sense of my enthusiasm here :). If you have, you may want to check out this website called iTalki. This is the website that I use to keep my Spanish skills sharp. I also use it to learn the basics of other languages when I travel. The best part about this site is that you can either do a language exchange with other students for free or take paid, structured lessons for as little as $5 an hour. Check it out! You can learn a foreign language from the comfort of your home on iTalki! Checkout these posts for the language guides that are available now on this site. These will be updated regularly, so check back for updates! Thai for Travel – Phrases that you can use during your travels to Thailand. Italian Sayings for Travel – Key sayings and phrases to use during travels to Italy and other countries in Europe that speak the language. Spanish Phrases for Travel – Basic phrases for Spanish that you can use in countries such as Spain, Colombia, Peru, Cuba, Mexico and more! I read somewhere once that learning a new language actually alters your brains associations as you become to think more in that language. There is natural phenomena that does not have a word or an expression in the English Language. So, when learning a new one you will be surprised and humored by the many cultures interpretations, that are taken for granted in that culture, within the expression of the human condition. I agree, those learning a second language and then travel to said languages country will have an easier time of things. It will be more interactive and just so much more enriching. Not speaking a language in a foreign country is like being deaf. While you hear conversations you are locked inside your own bubble of separation from such company. Its rubbish. 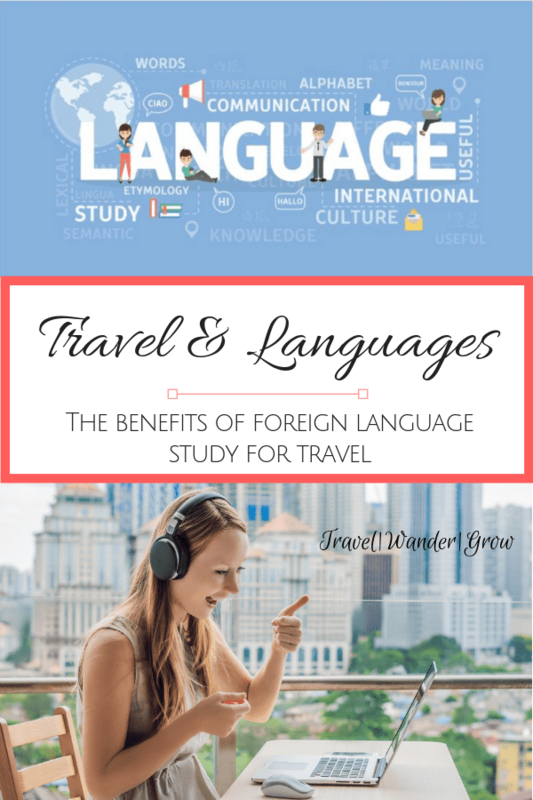 Thank you Christen for your wonderful and enlightened article about languages and travel and I can see the benefits of a foreign language for students when they are travelling. I’ll have to admit two things. First: I love travel. Second: The language barrier is what has stopped me from traveling to other countries. I feel like if I had a better grasp on the language I would be able to enjoy the experience more. 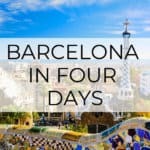 I really like how this article breaks down the benefits seen with learning a language and getting more out of your time in a new place. Keep up the great work! Love your post! Very informative! I absolutely agree, if you travel abroad, that you need to learn the basic phrases of the country, you are going to visit. It heped us a lot when we went to Poland, and we needed a help to get downtown. For my surprise, not a lot of people speaks English, so my very little knowledge of polish helped, because some words are similar with Ukrainian and it’s my first language. Plus the more languages you know, you will find a lot of similarities, so it’s gonna be easier each time. Great point, Alyona! And interestingly enough, I know another Alyona who has family from Ukraine as well :). Thanks for the tip that English is not common in Poland, I’ll note that for whenever I can finally make it there. Like you, I love to travel. I haven’t been able to do as much as I would like to but I adore it when I can. I actually studied quite a number of languages and linguistics while in school. Those points you bring are all great ones for why we should learn multiple languages if possible. Funny enough, English is a good language to know but as a native speaker, I find it can also be a hindrance. When I was traveling in France years ago, I was really looking forward to getting the practice but every time a native French speaker would find out I’m a native English speaker, they would immediately switch to English and get impatient with me for trying to speak French. The same would happen in Germany too (albeit not as frequently). It didn’t matter how much I tried to hide it my accent would be foreign and they would figure it out. Thank you for mentioning iTalki too. I’ve never heard of it and that might be a way to get my German back in shape. I used to dream in German but over the years I’ve had no one to speak to so it’s slowly been lost. It’d be nice to get it back so I could teach my daughter a second language while she is small and primed for it. I agree – it can be challenging to practice your new language in places where English is commonly known. I find that traveling to smaller cities in European countries does help with that :). 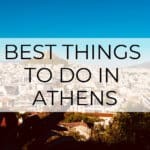 Hope you can check out iTalki! I really enjoyed reading this article, and I agree with you, languages and travel have strongly tied together. I always love interactions with locals using their language it’s really a good practice for me. And thank you for sharing iTalki website, I think it’s will be useful if I didn’t have time to travel! Thanks Tahani – if you have additional questions on iTalki, just let me know! This is a great and very informative article. 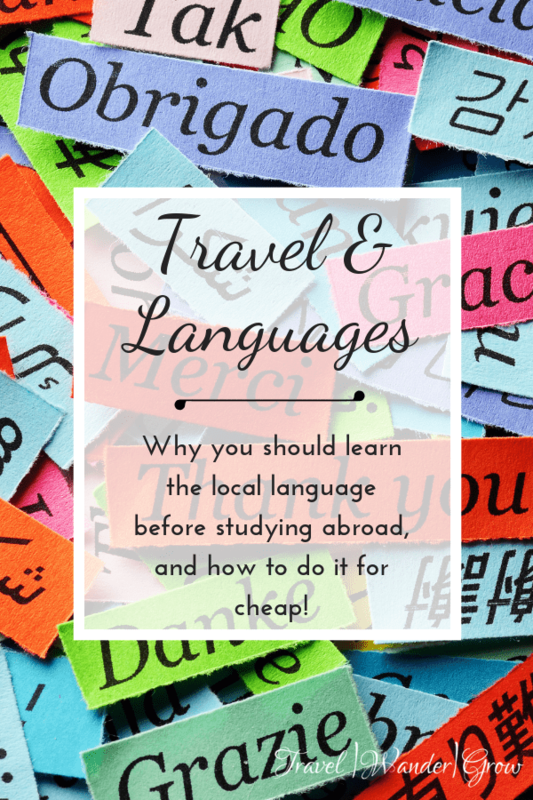 I enjoyed reading it as I can totally relate to the importance of learning a local language where I wanted to travel to. When I moved to Europe, Denmark to be exact, it was not that easy because every country has their own language. People here in Denmark can normally speak 3-4 languages including English and Danish plus 1-2 more European languages like German, Spanish, and French. And because it is required in school to learn other European languages. Happy to hear that you can also relate your experiences to this article, Che! I wish we were as diligent in teaching languages here in the US as you guys are in Europe! This is the best!! Where we live, we have LOADS of people who speak Spanish as their first language, and I was telling my husband the other day how I really wanted to become fluent myself so that we can teach the kids. We don’t travel much (yet), but learning another language really does help so much in SO many areas (like when we go to the Hispanic market on the weekends). This post totally ignited that flame to learn – thank you! So glad that I can help you move forward with a potential new hobby! 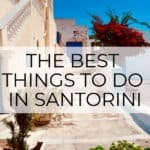 Hope you can check out iTalki to get things started! 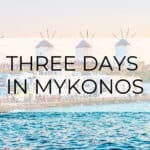 My husband and I spent our honeymoon traveling various places in Europe for a few days. We visited Italy, and I must say it was nice being able to speak/understand the language to a certain extent! 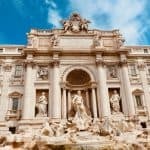 I learned Italian in high school, and am considering picking it up again/advancing my skills. Empathy is one of the major acquisitions of speaking, or at least trying to speak the local language abroad. Plus, the authentic opportunities it provides. 100% agree with both of your points, John. Thanks for stopping by! Yes, this is definitely true. It is more fun to travel knowing the culture of the country you are visiting, understanding the laws and especially the language. I have been thinking about this and it is a good thing that someone is actually spreading this kind of thought. Thank you, this is a big help for those who travel a lot.